So our first big awards ceremony of the season has now come and gone. In their third and final turn hosting, Tina Fey and Amy Poehler owned the opening monologue with some direct, honest, brave and spot-on hilarious jokes. Their were upsets (and quite a few instances where we didn’t predict the winners correctly) but here are our reactions to this year’s Golden Globe Awards. So there are plenty of things I didn’t call, let’s start there. The Grand Budapest Hotel taking home Comedy or Musical. I guess the only explanation I can think of there is that Birdman hardly fit the category anyway, though it was definitely the one we were expecting to hear called and that I was personally rooting for. There were the long shots I was hoping for, most specifically my call for Rosamund Pike for Actress in a Drama and Emma Stone for Supporting Actress. I knew they weren’t likely and am incredibly happy for Julianne Moore and Patricia Arquette so no hard feelings. All the other actor awards I called spot on. So I guess I can gloat about that. 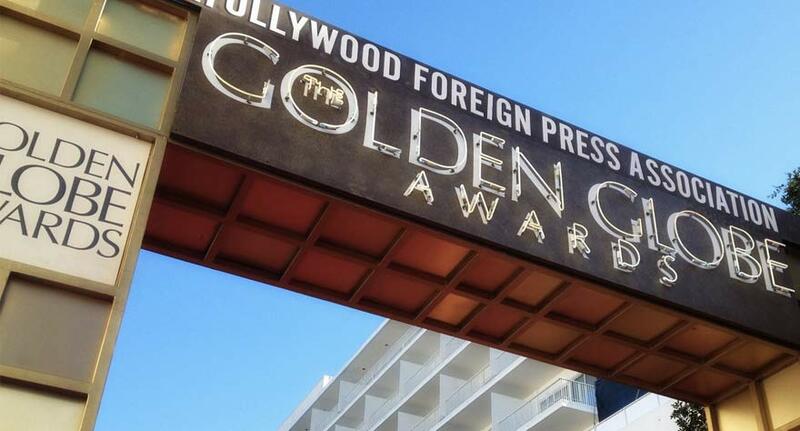 I had hoped the HFPA would get a little wacky with the women’s categories, but they went for the more obvious calls. Obviously I wasn’t surprised by Richard Linklater‘s win for Best Director, nor Boyhood’s major take home as Best Drama, and while we were dead wrong about Best Screenplay it made me incredibly happy to see Alejandro G. Iñárritu up on stage accepting an award. We were also wrong when it came to the musical categories, but understand that the HFPA decided to be a bit more standard in those choices as well. We were also off with our choices for Foreign Language film and am a bit surprised they went with Leviathan over Ida, or even my backup vote of Force Majeure. Just makes it hard to predict where the Oscars might go. But the one category that I absolutely am flabbergasted by is the HFPA’s choice of How to Train Your Dragon 2 for Best Animated Film over the amazing and incomparable The Lego Movie. I’ve never had strong feelings about an animated film before and I’m truly despondent over their decision. Whatever, I expect the Academy to get it right. I will say I thought Amy and Tina killed it, delivering jokes that were both daring and hilarious. Their jokes regarding Bill Cosby were of course the more triggering but they went next level delivering their best Cosby impressions, which before this whole scandal was everyone’s favorite way of poking fun at Cosby. It was absolutely meta and the best way to truly express the way humor allows us to showcase that no one deserves safety when using humor to cope with tragedy. Their jab at George Clooney and his more accomplished wife was pitch perfect in calling out Hollywood’s tendency to lose perspective, and the joke that Selma “totally worked and now everything is fine” was delivered perfectly by Tina Fey, casting a great light on unreasonable expectations for films of its ilk while also impressing that this isn’t the sort of conversation that should ever really end. As for TV, once again the HFPA gets premature and gives too much love to first-season shows rather than reward the ones that have gotten stronger (a difficult feat these days) but if it gets more people to watch Transparent, fine by me. All in all, it was a fun evening, if a somewhat confusing one, and whether we can use much in the way of predictions for next Thursday’s Oscar nominations announcement seems unlikely. I have to mention something about the TV awards first. In typical HFPA fashion, the awards went to freshmen shows instead of old favorites (remember Brooklyn Nine-Nine winning last year?). Sometimes that can lead to weird choices (how many people scratched their heads at Jane the Virgin winning Best Actress? ), but other times an awesome show like Transparent ends up winning Best Comedy and Best Actor. So this is me saying that Transparent is an incredible show that deserves its awards, and if you haven’t seen it yet please do so immediately. So that’s that about TV. Going back to the predictions Ananda and I made a few days ago, we wound up splitting on the acting awards. I was right about Julianne Moore, she was right about Eddie Redmayne. Apparently the HFPA love it when actors play people with horrible diseases. Don’t be surprised if Jennifer Aniston winds up playing a genius with ALS next year that discovers she has Alzheimers. We both wound up being right about Michael Keaton and Amy Adams in the comedy acting awards, but those seemed like obvious ones. What really took me by surprise (along with everyone else, I’m sure) is The Grand Budapest Hotel winning over Birdman. While I don’t love Wes Anderson’s latest film (I think it’s a pretty enjoyable trifle), I’m so happy it won over the annoying, unfunny Birdman. 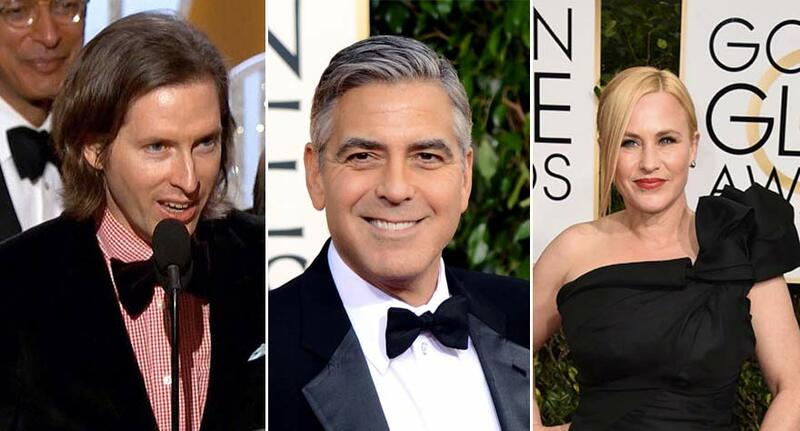 And hey, Wes Anderson just officially became a contender (I think?). HFPA also got the supporting actor/actress awards right, so good for them. Very happy Patricia Arquette won, and J.K. Simmons deserves every award under the sun for Whiplash. Some awards didn’t interest me in the slightest (I know my prediction was wrong about Best Score, but I don’t care about that category whatsoever), so I’ll just mention some notable wins and/or losses: Leviathan taking Best Foreign Film over Ida was great, and it gives me hope that Ida won’t get that Oscar so easily. I haven’t seen The Theory of Everything, but I’m bummed Oyelowo didn’t win for Selma. Ditto for Jake Gyllenhaal in Nightcrawler. And The Lego Movie losing Best Animated might have been my biggest disappointment because it totally deserved it. So all in all, a little more interesting than usual I guess. 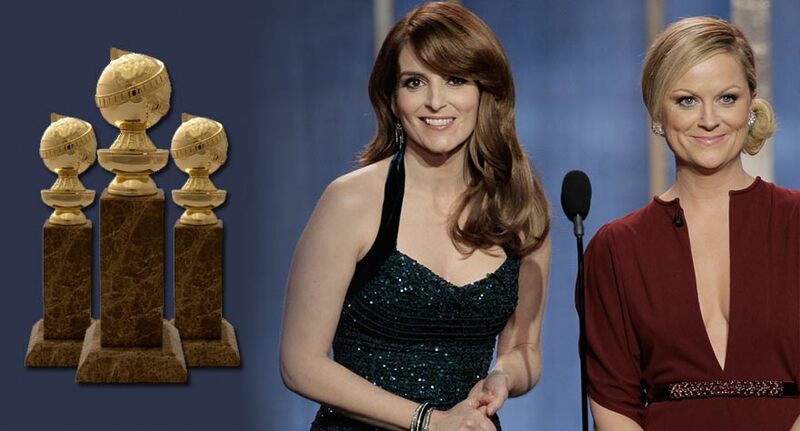 I’m sad to see Tina and Amy go as hosts, and I’m sure the HFPA will have a hard time picking a suitable replacement. And, oh yeah, Boyhood. Well I’m not surprised it won. You might have seen my thoughts on Boyhood already. I say good for Linklater, because he’s always been a great director. I just wish all of these trophies went to a different, better film by him, like Bernie or any of the Before films or hell, even School of Rock. After tonight, I think that the big Oscar for Best Picture is Boyhood‘s to lose at this point. What’ll be interesting is seeing what other films will end up getting nominated with it.